Demand chills for synthetic refrigerants on the eve of a 2010 phase-out; Nestle leads the way to a cool, all-natural future. Most food & beverage plant operations managers charged with overseeing refrigeration and freezing systems have already turned a cold shoulder in the past decade to synthetic refrigerants. They know hydrochlorofluorocarbons (HCFCs) including R-22 will begin a phase-out starting next New Year’s Day. As with the 1990s phase out of chlorofluorocarbons (CFCs such as R-12, or DuPont's Freon), HCFCs have been long-targeted for obsolescence under the 1987 Montreal Protocol and 1997 Kyoto Protocol due to their depletion of the stratospheric ozone layer and contribution to global warming. Since the 1990s, R-22, once the workhorse, has all but evaporated from use in large industrial systems. 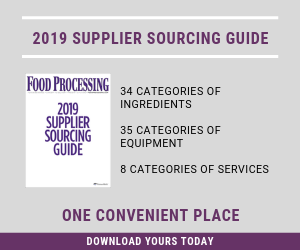 This is especially true at the U.S. and Canadian operations of Nestle, the largest of the Food Processing Top 100© food & beverage processors. The company has been steadily phasing out synthetic refrigerants, including hydrofluorocarbons (HFCs, including R-134a, common in air conditioning), which are not being banned — at least yet. Although the current deadline for elimination of all HCFCs is Jan. 1, 2030, a gradual phase-out begins Jan. 1, 2010. Moreover, in the next several years, R-22 refrigerant and associated equipment supplies will dwindle. Phase-out milestones and levels are “a moving target” more likely to be moved up than watered-down and pushed back, according to Bruce Badger, president of the International Institute of Ammonia Refrigeration (www. iiar.org), Arlington, Va.
2010: 75 percent reduction. No production or import of HCFC-22 and HCFC-142b except for servicing equipment manufactured before Jan. 1, 2010. 2015: 90 percent reduction. No production or import of any HCFCs except for use as refrigerants in equipment manufactured before Jan. 1, 2010. 2020: 99.5 percent reduction. No production and no importing of HCFC-22 or HCFC-142b. 2030: 100 percent reduction. No production or import of any HCFCs. While not all details of the HCFC ban are finalized, it’s likely that “sometime in October or November we’ll find out the specifics of the U.S. position on the phase-out. Or the latest, in December, when the details will be formally delineated in Denmark," says Badger. The U.N. Climate Change Conference in Copenhagen will continue the requirements set in the Montreal and Kyoto Protocols. Even if compliance lags or exemptions are common, it’s unlikely that the trend toward natural refrigerants will be reversed in the foreseeable future. The move toward natural refrigerants is spreading across the food industry, up and down the cold chain. Companies including Coca-Cola, PepsiCo, Unilever and Carlsberg Group — and McDonald’s in the restaurant sector — are publicly back Refrigerants Naturally (www.refrigerantsnaturally.com), a global private-sector initiative seeking to stamp out synthetic refrigerants down to point-of-sale retail and foodservice locations. Official bedfellows in the alliance include GreenPeace and the United Nations Environment Programme (http://ozone.unep.org). Industrial refrigerant users originally turned to R-22 to escape ammonia’s safety and regulatory issues, and because it is “almost as efficient as ammonia,” says Bruce Badger, president of the International Institute of Ammonia Refrigeration (www.iiar.org), Arlington, Va. “But it has a significant global warming potential as a refrigerant when it leaks to the atmosphere.” He adds that leak rates are higher for R-22 than ammonia in industrial systems. Cost-wise, R-22 in recent years has risen to roughly $10/lb. to ammonia’s $1/lb. Prices may keep rising, as happened with R-12/Freon, which rose from $1/lb. to $20/lb. The HCFC ban also may translate to fewer and more expensive mechanical parts and supplies, which could affect plant maintenance and reliability. As synthetics lose favor, natural refrigerants are poised to offer significant cost, efficiency and energy-usage benefits. “Whether or not we all agree that climate change is the result of human activity, the benefit of energy conservation can be justified purely on the business mandate to reduce energy costs,” Badger says. Making the switch isn’t as easy as making a quick refrigerant substitution. At this point in time, users and their supply-side partners should have a firm grasp on life-cycle costs and a timed strategy for future maintenance, retrofit and replacement schedules. There was a time when the hydrochlorofluorocarbon (HCFC) refrigerant R-22 was a safe, mainstream choice in refrigerant, and ammonia had a track record of toxic releases, injuries and deaths. But ammonia has become dominant again. Over the past two decades, several factors fueled ammonia’s resurgence. These included the creation of operational and maintenance standards; improved instrumentation and safety controls; and regulations such as OSHA’s Process Safety Management (29 CFR 1910.119) and EPA’s Risk Management Program (40 CFR Part 68). Global warming concerns and energy conservation continue to drive demand for the natural refrigerant. As R-22 begins its gradual phase-out next year, it still has a foothold in small applications throughout the industry and in areas where ammonia regulations (and fears) are particularly heavy, including New Jersey and urban areas of California. The greatest concern by far in the food industry is food safety, including eliminating the growth of foodborne pathogens. “The best way to ensure food safety is to have a valid cold chain, from farm to table,” Vallort says. In his 2008 statement, Nestlé exec Lopez reiterated the company’s 2001 commitment to continue moving toward eco-friendly natural refrigerants and do away with synthetics. Nestlé has been ahead of the curve on ammonia-CO2 systems, installing them since 1990s as part of its R-22 phase-out strategy. “Our current aim is to minimize ammonia charges within our plants,” says Bent Wiencke, manager of refrigeration engineering for Nestlé U.S. and Nestlé Canada. “But ammonia is still the most efficient choice for our primary use of refrigerant. The most common CO2 strategy for industrial users is the hybrid ammonia-CO2 cascade system. There are various configurations, but generally they involve an ammonia system confined to the refrigeration engine room, and a secondary system carrying a much greater quantity of CO2 being circulated through process equipment such as a blast, tunnel or spiral freezer. The CO2 is then piped back to the engine room where the ammonia system scrubs off the heat the CO2 refrigerant picked up in the process and dissipates it, typically to the atmosphere through a roof vent. The 2000 commissioning of the largest CO2-ammonia cascade system “built in the past 50 years” at its Nescafé factory in Hayes, England, because no commercial scraped-surface heat exchange system was available for freezing coffee liquor. The 2003 commissioning of “one of the first and world's largest” ammonia-CO2 systems at Nestle USA’s prepared meals plant in Jonesboro, Ark. The 2005 commissioning of an ice cream freezer in Thailand despite that country's distant phase-out date for developing countries — 2040 under the Montreal Protocol. While Wiencke notes that most of the innovation in CO2 systems is being driven by end users, there are exceptions. One such food supplier is the Low Volume System (LVS) from JBT FoodTech (www.jbtfoodtech.com) Sandusky, Ohio. It replaces the traditional pump recirculation loop with a more compact alternative that increases refrigerant efficiency by reducing the pressure drop and temperature fluctuations — problems found in a traditional pump recirculation system. The technology helps low-side refrigerant loops run more efficiently at lower temperatures than that of standard of pumped recirculation systems while minimizing refrigerant volumes. A traditional recirculation system pumps liquid refrigerant (for example, CO2) to an evaporation coil in the plant floor freezing system, which could require a piping run of 500 or 800 ft. from the compressor machinery in the engine room. A combination of liquid and vapor refrigerant exiting the process must take that long trip to the refrigeration system’s compressor, requiring extra energy for pumps and often a long piping run up to the rooftop and back down, incurring pressure drop. Instead, the LVS technology removes the liquid from this loop before it returns to the engine room by collecting it in a vessel and sending only vapor to the engine room. “So the vessel acts as a separator, and can reduce the need for additional equipment while also lowering energy requirements” says Tera Bristow, refrigeration systems engineer with JBT FoodTech. If the pace of innovation picks up, ammonia and CO2 in particular will increasingly prove the winning combination for low-temperature process freezing applications, as will ammonia and other natural refrigerants in cold storage and medium-temperature applications. What Will We Do When R-22 is Phased Out?